Our trove of games like Grand Chase has other 2D side scrolling games with plenty of action that are easy to get into but still provide plenty of depth. 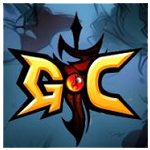 Grand Chase is one of the few games in the 2D side scrolling genre and is highly popular. Launching in South Korea like the many other MMOs currently in the market the game now has servers for a wide variety of countries. Similar to other games in this space character control is handled through keyboard input while menu related elements use the mouse. Combat wise the game uses a more action and combo focused approach to gameplay that encourages players to combo their attacks together to create devastating special moves. In an attempt to avoid button mashing the game does focus on careful timing and responding to enemies which allows more skilful players to advance at a greater pace than other players. The list of games like Grand Chase in our collection here offer other games that use 2D graphics and combo focused gameplay. With a focus on anime themed experiences fans of Grand Chase will find plenty of alternatives here.